Women have been dying their hair blonde for generations. Blonde hair is one of the most desired hair colors – and for good reason. When it comes to blonde hair the options are seemingly endless; with so many dimensions, highlights, cuts, styles, and the way it completes entire ensembles it’s easy to fall in love with all shades of blonde. So what are the hottest hairstyles for blonde hair? One of the most beautiful ways to obtain blonde hair is through gorgeous overall highlights. The best way to show off your highlights is through braided updo’s. Braid’s are super easy to create, elegant, and show off the dimensions of blonde highlights. This year one of the trendiest new braids it the braided crown. This is when you create a braided headband created from your hair. This allows you to simply style your hair in a braid but still leaves a lot of hair to style differently. If you want to leave it down in bouncy curls, sleek and straight, or throw it up on an effortless chignon the braids your different shades blonde will complement whatever you choose. The crown braid looks simple and beautiful. For 2013 the bold statement fringe is one of the beauty experts top picks. Side-swept brings or loose blunt fringe add softness and glamour to every look. If you have blonde hair then try a haircut with bangs and give your look a modern vibe. You should choose bangs so that they frame your face shape, and if you are thinking about dying your hair blonde then choose a blonde that complements your skin tone so that blonde bangs doesn’t clash with your complexion. Reese Witherspoon shows off her blonde tresses with beautiful bangs. From Michelle Williams and Anne Hathaway to Beyonce it would seem everybody is opting for the timeless blonde pixie haircut and we can see why. This classic look was made famous by supermodel Twiggy in the mid-1960’s and we are thankful this trend is back. Short hair looks great and when it’s blonde it makes an even bigger and bolder statement. The textured blonde pixie with subtle layers on top and shorter on the sides and back is making everybody wish they were blonde this year. This blonde pixie is so cute and charming. We know trends come and go, but the bob hairstyle seems to stand the test of time year after year. This classic hairstyle in partner with gorgeous blonde hair is an unstoppable hairstyle. Bob’s are the ultimate hairstyle because they offer length for styling but are still low-maintenance. A blonde bob looks stunning with added wavy texture, or straight and sleek. Regardless of which texture you choose, you cannot go wrong with a blonde bob. Blonde bobs are elegant and timeless. If you love the long blonde wavy locks as much as we do, then you are also probably a fan of the bohemian style. This style looks fabulous with absolutely any face shape and it is definitely a head turner. Another reason we love this look is the fact it’s so versatile. 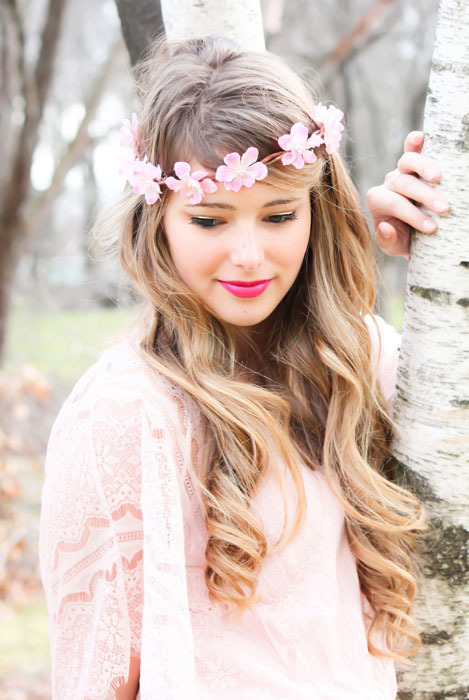 You can simply add a headband, or some wispy braids and accessorize with something sweet and playful such as flowers, feathers, or butterflies clips and you have an effortless bohemian blonde hairstyle. This blonde bohemian hairstyle is effortless and chic.